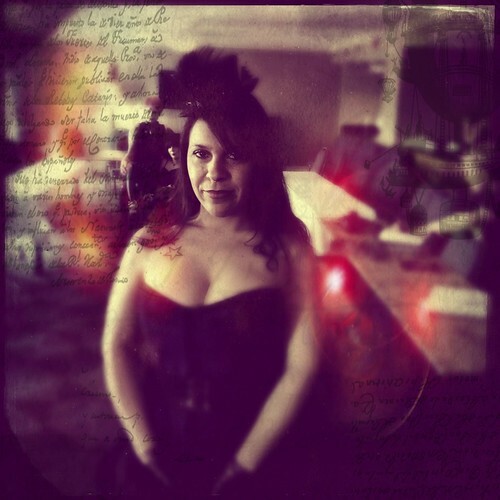 This is a photo from a Dr. Sketchy session at Voltaire’s Necrocomicon in New Jersey. The session was organized by the wonderful Asbury Park Branch. This photo was taken with Hipstamatic on my iPad and altered with Pixlrmatic and Steampunk Photo Tada apps.